BUDAPEST, Hungary — The emotions and answers were fresh, raw and real as Helen Maroulis stood Wednesday morning at one end of the Laszlo Papp Arena mixed zone, reflecting on the past, assessing the present and pondering her future in the sport. She wiped tears from her eyes at times and cracked a few smiles, too, during an eight-minute session with reporters following a first-round exit from the World Championships — her first loss in four years on international wrestling’s biggest stage. Hours later, Adeline Gray stood at the opposite end of the short passageway with many of the same reporters gathered around her. 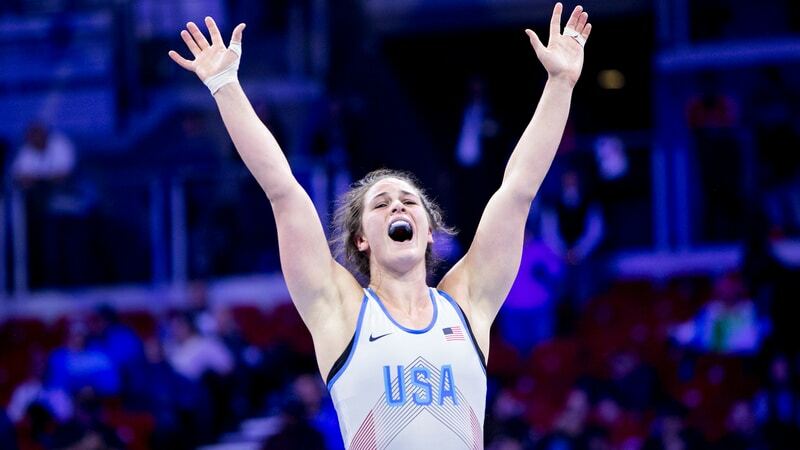 She wrapped herself inside an American flag and beamed from ear-to-ear after returning to the women’s freestyle heavyweight pedestal.